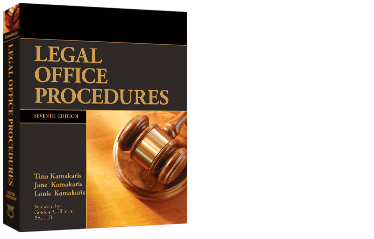 We are the proud publishers of the legendary Legal Office Procedures text that is respected throughout professional and educational communities. 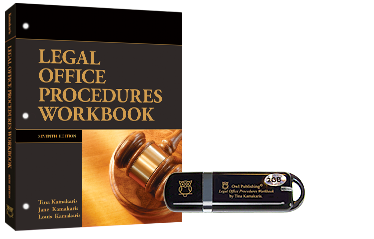 Designed for Canadian college-level law clerk, paralegal, legal assistant, and legal office programs, our high-quality Legal Office Procedures text is easy to follow and ideal for students new to the subject. 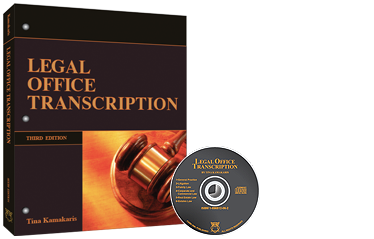 A separate Legal Office Procedures Workbook for hands-on applications and a separate Legal Office Transcription book for legal transcription proficiency complete the Legal Office experience. For more information on our legal collection, click on "Our Publications."